Corfu vacation has so many attractions to offer that you are left wondering why you never got around to visiting this beautiful island before. For those who have already gone on vacations in Corfu in the past, there is no reason to list the various highlights of the trip. They have seen it all and experienced it all, and that is precisely why they have come back for more. Located in the northernmost part of the Ionian Sea and the westernmost part of Greece, the island is lined with sandy beaches and shingle coves, dense olive groves and cypress trees, and it is one of the most enchanting places in Greece. Corfu tourism has all the ingredients in the right amounts to make a fabulous holiday experience, and they are particularly popular with British holidaymakers who come in summer months to enjoy the hot sun and swim in the sparkling warm sea. When night falls, they head to one of the numerous taverns on the beach side for a traditional Greek meal and some groovy entertainment by Greek dancers. While tourist development has mostly focused in the central side, the north and south of the island are pretty much rural and while on your Corfu vacations, one can still visit villages, where the islanders are still carrying on the old way of life. Farmers in villages still use donkeys to get around and one can still find the untouched remnants of the island's Hellenic, Roman, Byzantine and Venetian past among the unspoilt villages. One of the best things about Corfu is that it comes alive in summer with a burst of greenery and attractive spring colors. If you happen to take a stroll through the countryside, you will see old olive trees gnarled with age and meadows filled with a riot of colors. A tour of the countryside during your Corfu vacation fills your senses with the scent of oranges and lemons ripening in the sun and there are also many other kinds of fruit trees growing on the island. The prickly pear, and also the Kumquats, a small variety of orange with a bitter-sweet taste is grown only here. The main town of the island is well worth visiting on your Corfu vacation. The Town has an old part and a modern, with elegant churches, cobblestone streets and tall houses. An old fortress proudly looks over the town, while the new part is more cosmopolitan with plenty of shops. There is also an abundance of restaurants and taverns that offer traditional Greek meals at reasonable prices, and moreover you can sit back and enjoy a nice meal in a splendid setting of fishing boats and busy promenades or beautiful sceneries of olive groves or cypress forests. Accommodation options are great in Corfu. From simple rooms in the village to luxury hotels on beachfronts, options are aplenty. Some of the beaches also offer a wide range of water sporting options and these are particularly popular with family crowds. The most popular beach resort is Paleokastritsa, a green rocky peninsula on the north western side of Corfu. This is the busiest beach of the island and many excursion boats depart from there and go to caves or to secluded beaches around the island. Other popular beach resorts are spread all over the island. From lovely fishing villages, like Kassiopi or Sidari, and family beaches, like Agios Stefanos, to organized beaches with tourist facilities like Issos or secluded beaches such as Nissaki and Agni, your Corfu vacation can suit all your tastes. 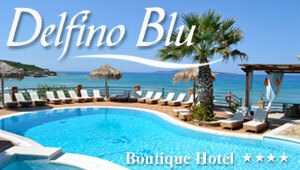 Book your hotel in Corfu. Various types of accommodation proposed. Rent a yacht and combine your sail to Corfu with other destinations. Find out useful information on how to organize your travel to Corfu.